Most independent restaurant owners don’t realize the important role a website plays in acquiring and keeping (retaining) customers. Do you look at your website as just another expense? 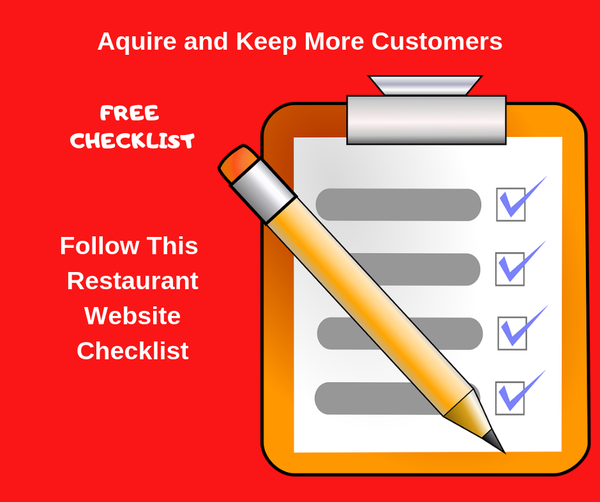 Get this Website Checklist For Restaurants. Fix these 17 Things on Your Website and Get a Steady Flow of New Customers. It’s FREE. Get Instant Access to the Rstaurant Website Checklist and Put Your Website to Work!